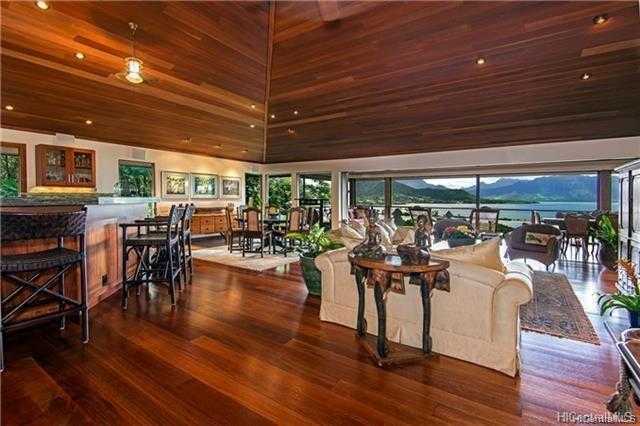 Rare opportunity to own one of the most remarkable custom-built homes in Hawaii! Truly spectacular ocean and mountain views are framed in every room like magnificent, live paintings. The open floor plan featuring custom-milled Indonesian Merbau hardwood floors, windows and doors; Tuscany Walnut travertine floors; and unique granite counters in the chef’s kitchen set this home apart from the rest. Live amongst tropical splendor while being accessible to great shopping, dining and cultural activities. Come home and take refuge in a place that will forever leave an imprint on your soul! Please, send me more information on this property: MLS# 201827109 – $2,498,000 – 47-465 Lulani Street, Kaneohe, HI 96744. I would like to schedule a showing appointment for this property: MLS# 201827109 – $2,498,000 – 47-465 Lulani Street, Kaneohe, HI 96744.